Seeking to reassure the public that St. Louis City is taking action to curb a recent spate of gun-related crime, City Hall announced on Monday several measures designed to target problem neighborhoods. Police Chief Dan Isom has isolated 12 focus neighborhoods, 8 of which are located in North St. Louis, 2 in central city and 2 in the south. Starting last weekend Isom says he is also shifting work schedules to move officers from day to evening patrol. 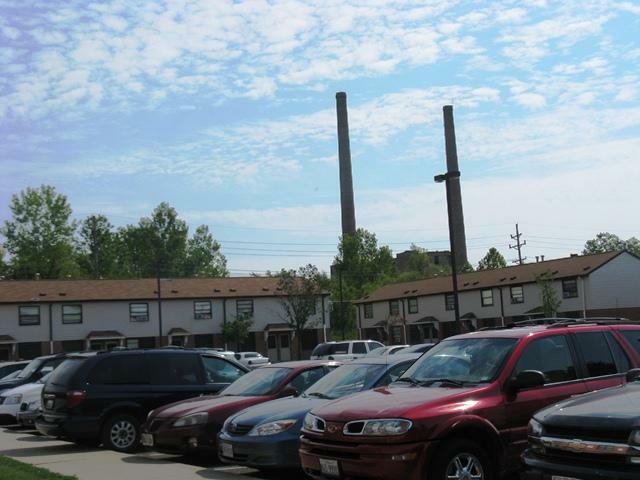 The East St. Louis Housing Authority will use a portion of a federal grant it received in February to boost security at its seven main housing projects in the city. The funds will allow for the construction of a perimeter fence at the John DeShields homes, new exterior lighting at the same site, and security cameras at all seven of the authority's major properties. The authority will also be able to hire eight full-time security guards. The director of the Illinois Dept. of Natural Resources says his department will do all it can to keep the state's parks open after the failure of a $2 increase in license plate fees that would have provided a funding stream the the DNR. But Marc Miller says he can't rule anything out, because the department has seen its budget slashed by 50 percent over the last decade. St. Louis police say a man upset with his ex-girlfriend shot her and her mother to death then set a fire before leaving two young children locked in an apartment. The suspect's 10-month-old son died of smoke inhalation and a 3-year-old girl was critically injured. Prosecutors charged 23-year-old Eric Lawson on Sunday with three counts of first-degree murder and nine other charges, including arson. Police say 22-year-old Breiana Ray and her mother, 50-year-old Gwendolyn Ray, died Saturday of gunshot wounds to the head. Aiden Lawson died of smoke inhalation. The 3-year-old girl was taken to a hospital suffering from smoke inhalation. Her name was not released. 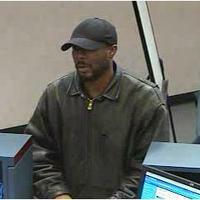 The FBI is looking for a man who robbed the Forest Park Community Credit Union near Saint Louis University today - a robber investigators believe may be responsible for two other robberies last month. The Bureau says that just before 1 p.m., the robber entered the credit union at 3651 Forest Park Ave., and handed the teller a note demanding cash. 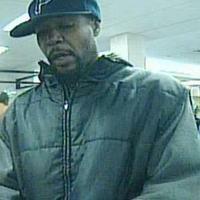 The robber did not show or imply that he had a weapon, and left with an undisclosed amount of money. The Federal Bureau of Investigation is looking into three bank robberies that took place within four hours of each other. Today's robberies were the third, fourth and fifth of the month, and brings the total for 2012 to 14. 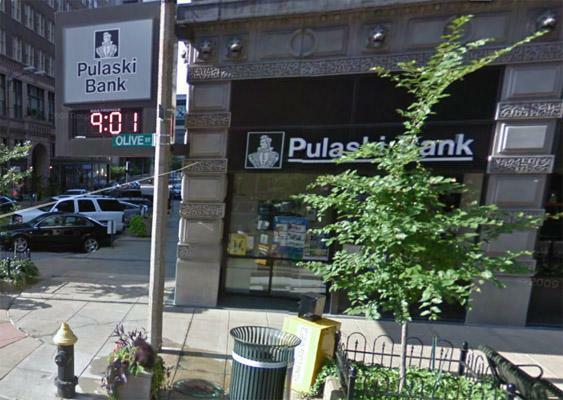 For the second day in a row, police are investigating the robbery of the Pulaski Bank in downtown St. Louis. The same bank was robbed Tuesday and again Wednesday. 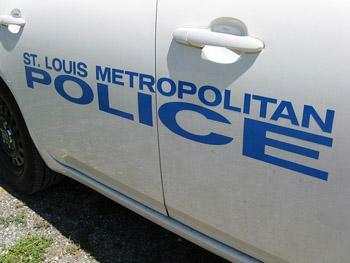 Authorities told the St. Louis Post-Dispatch that they do not believe the heists are related. 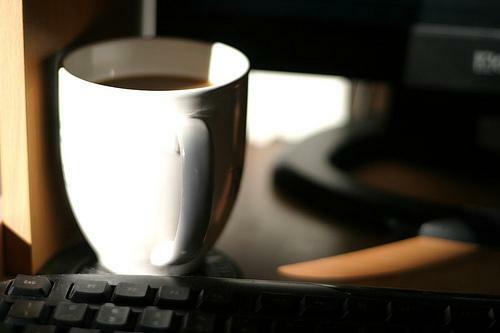 In the latest case, the suspect ran away after stealing an undisclosed amount of money. Police are searching for suspects in both robberies. St. Louis has been labeled “the most dangerous city in America.” Whether or not that’s actually true depends on who you talk to. But, one thing is for sure: many city residents are fed-up with the high crime rate that has burdened many neighborhoods for decades. 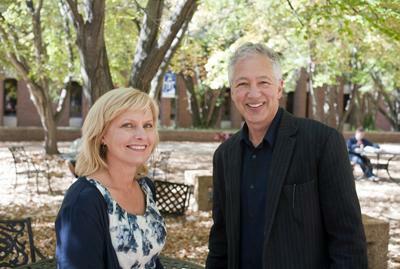 Some have stopped blaming the police, instead working with them to address the problem. St. Louis Public Radio’s Julie Bierach reports on one man’s crime fighting model that has the city’s top law enforcers singing his praise. Illinois State Police are helping authorities in East St. Louis investigate the shooting death of a man who's become the city's 25th killing this year. The Belleville News-Democrat reports that 31-year-old Timothy Jones of Swansea was shot multiple times Friday night as he sat inside his pickup truck. He died later at a hospital. There's no word on any arrests or charges in the killing, which brings the city's total of homicides this year past the 24 recorded last year. This article first appeared in the St. Louis Beacon, Oct. 6, 2011 - My home was burglarized last Valentine's Day. I live in the St. Louis Hills neighborhood, which normally ranks somewhere between "peaceful" and "boring" on the urban living scale. As I mentioned in the column I originally wrote about the crime, it's the kind of place where nothing ever happens -- until it does. A judge in southwestern Illinois has denied bond for a woman accused of killing two of her children with a shotgun last month. 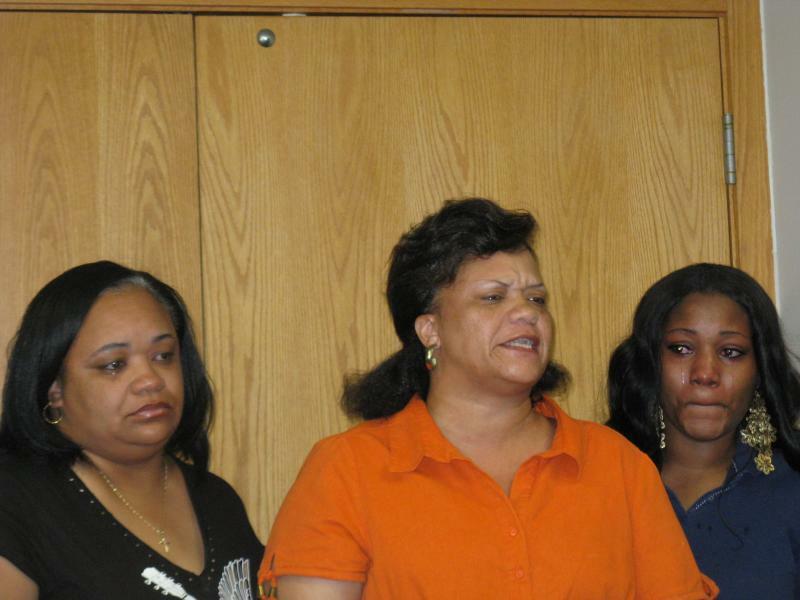 Associate St. Clair County Judge Julie Katz entered a not guilty plea on behalf of 25-year-old Yokeia Smith during a brief arraignment Friday. 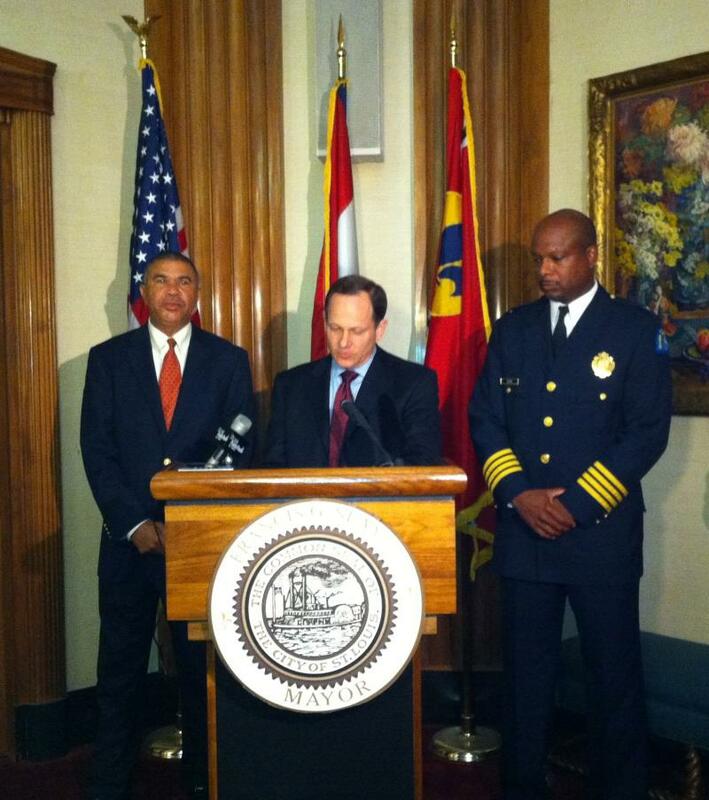 Katz also appointed a public defender to represent the East St. Louis woman. No new court appearance was scheduled. 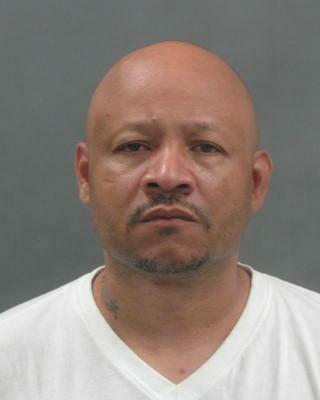 At-large arrest warrants have been issued for Terrance Burnett, 41, suspected in the shooting deaths of Burnett's estranged pregnant wife, Danielle Burnett, and her 43-year-old male companion in the Lafayette Park area of St. Louis earlier this week. This article first appeared in the St. Louis Beacon, Sept. 15, 2011 - The United States comprises approximately 5 percent of the world's population but incarcerates about 25 percent of the world's prisoners. Those numbers raise alarm in certain quarters. Law-and-order types, like myself, find it appalling that we have so much crime. 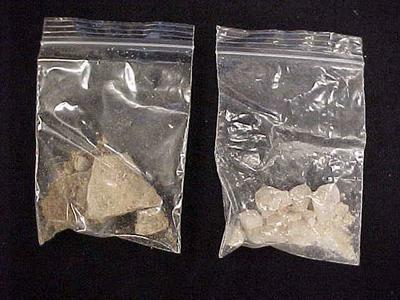 We try to identify the societal failings that have allowed criminal deviance to become so commonplace in our nation. Services are scheduled for two East St. Louis children whose mother is facing charges that accuse her of killing them with a shotgun. Twenty-five-year-old Yokeia Smith is charged in St. Clair County with first-degree murder in the deaths last Wednesday of 5-year-old Levada Brown and 4-year-old Yokela Smith. The mother is jailed in St. Louis, where she was arrested after police say she hit two pedestrians near St. Louis' Gateway Arch. Updated at 1:15 pm to correct amount of bail and add information on father of the slain son. 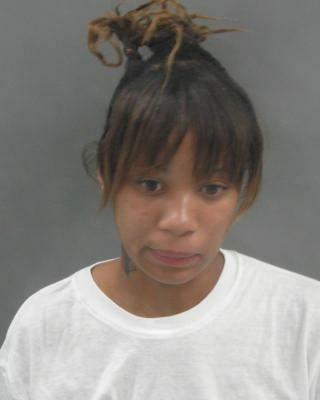 A 25-year-old East St. Louis woman faces first degree murder charges for allegedly shooting two of her children in the head with a shotgun. A 28-year-old man is in critical condition after an exchange of gunfire with a suburban St. Louis police officer. Meanwhile, the St. Louis Post-Dispatch reported Friday that the suspect, Carlos Johnson of Ferguson, is charged with first-degree assault on a law enforcement officer. Johnson did not yet have an attorney. Intelligence gathered after last night’s fatal shooting in North St. Louis has led the St. Louis Metropolitan Police Department to believe the incident is tied to several other homicides from the last two weeks. In hopes of supplementing intelligence efforts and arresting possible suspects, the department has activated the Violent Offense Team. 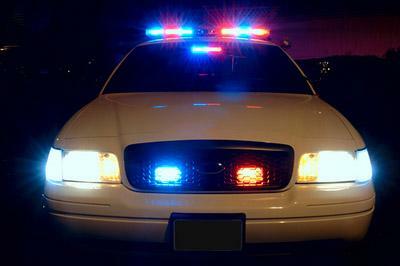 The St. Louis Police Department released its crime statistics today for 2010. And what did the statistics show? Is the City/County divide to blame for St. Louis "Most Dangerous" title? St. Louis is back on top, but it's not a list city residents are proud to headline. For the first time since 2004, St. Louis again tops CQ Press' crime ranking list, earning our fair city the unwanted title of "Most Dangerous." CQ Press uses publicly available FBI crime data to make its list, but how crime data gets reported and collected across the nation, is a complicated issue. We tried to break it down a bit on today's St. Louis on the Air.